The American Red Cross served as the traditional reserve for the Army Nurse Corps. As of June 1940, there were 942 women in the Army Nurse Corps, plus 15,700 in the Red Cross first reserve. In September 1940, the Red Cross called for the reserves to volunteer for active duty with a one-year commitment, and on October 8, the first Red Cross Nursing Service members were sworn into active duty. 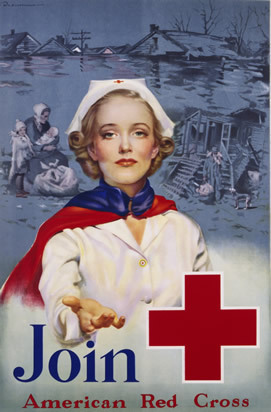 The Red Cross continued to recruit nurses for the Army and Navy throughout the war, and posters, magazines, and public appeals let women know of the need. On January 6, 1945, Pres. Franklin Roosevelt proposed a draft for nurses in his State of the Union address, despite the fact that the Nurse Corps never had a shortage of nurses. On March 7, the House of Representatives passed the bill, but it languished in the Senate, and on May 24, President Truman stopped legislative action on the bill. Nursing schools stepped up the training of graduate nurses as universities and hospitals increased the number of slots for students. At first there was no formal military training for nurses. On July 19, 1943, the first basic training center for nurses opened at Fort Meade, MD. Training centers were located at Fort Devens, MA; Halloran General Hospital, Staten Island, NY; Camp McCoy, WI; and Brooke General Hospital, San Antonio, TX. The nurses trained for four weeks, learning military courtesy and practices, sanitation, ward management, camouflage, the use of gas masks, and map reading. They also drilled and underwent physical training. To learn about training of flight nurses in World War II, please see Medical Air Evacuation in World War II–The Flight Nurse. 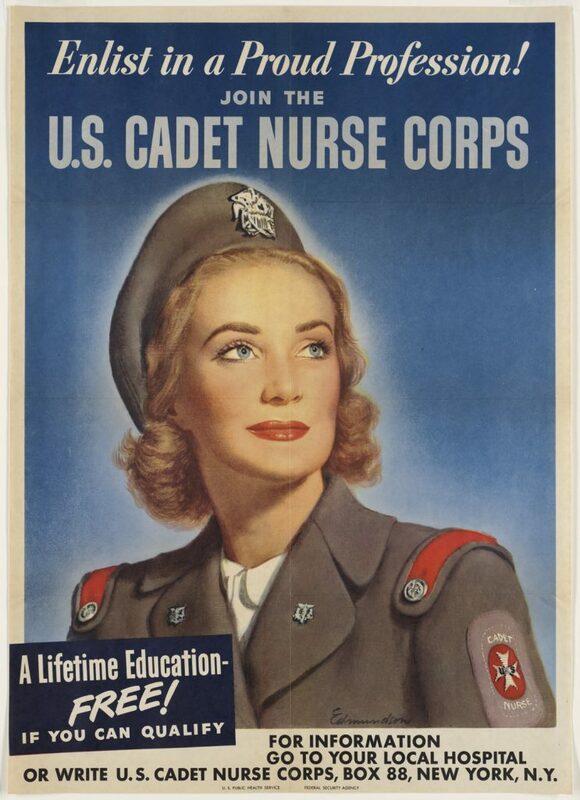 To raise up an even greater number of nurses, Congress authorized the Cadet Nurse Corps on July 1, 1943. The government paid for women to attend civilian nursing programs in exchange for service in the Army Nurse Corps upon graduation. The women in this accelerated program (two and a half years instead of three) had their own special cadet uniforms. Nurses entered the ANC as second lieutenants, and the vast majority stayed at that rank. The chief nurse of a hospital was usually a first lieutenant, but sometimes a second lieutenant or a captain. The highest rank was held by the superintendent of the ANC, a colonel. At first, nurses held “relative rank.” They held the title, wore the insignia, were admitted to officers’ clubs, and had the privilege of the salute, but they had limited authority in the line of duty and initially received less pay than men of similar rank. 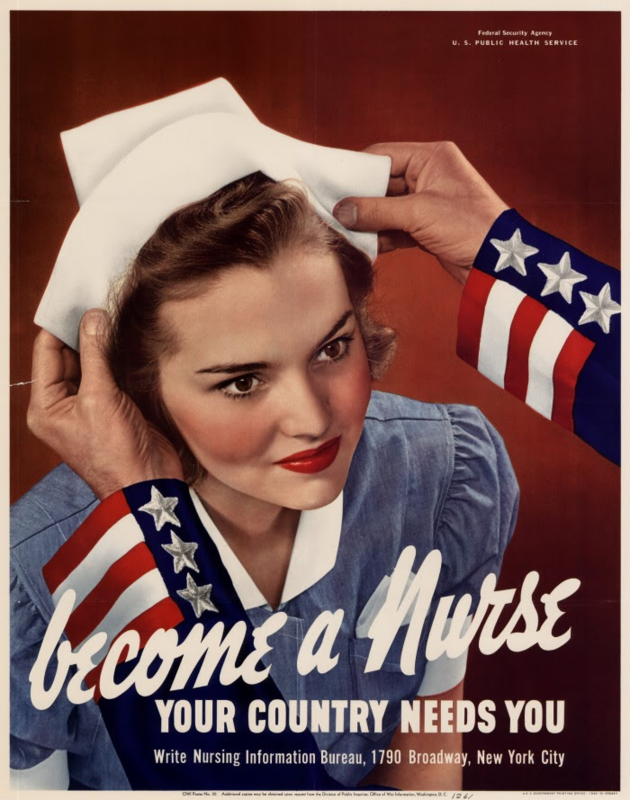 On December 22, 1942, Congress authorized military nurses to receive pay equivalent to a man of the same rank without dependents, and on June 22, 1944, Congress authorized temporary commissions with full pay and privileges to military nurses. One of the reasons nurses were granted officer status was to “protect” them from the great crowd of enlisted men, and—it was often believed—for male officers to keep the women for themselves. The Army had rules that prohibited fraternization between officers and enlisted personnel. http://history.amedd.army.mil/ANCWebsite/anchome.html (The official website for Army Nurse Corps history). Sarnecky, Mary T.A. 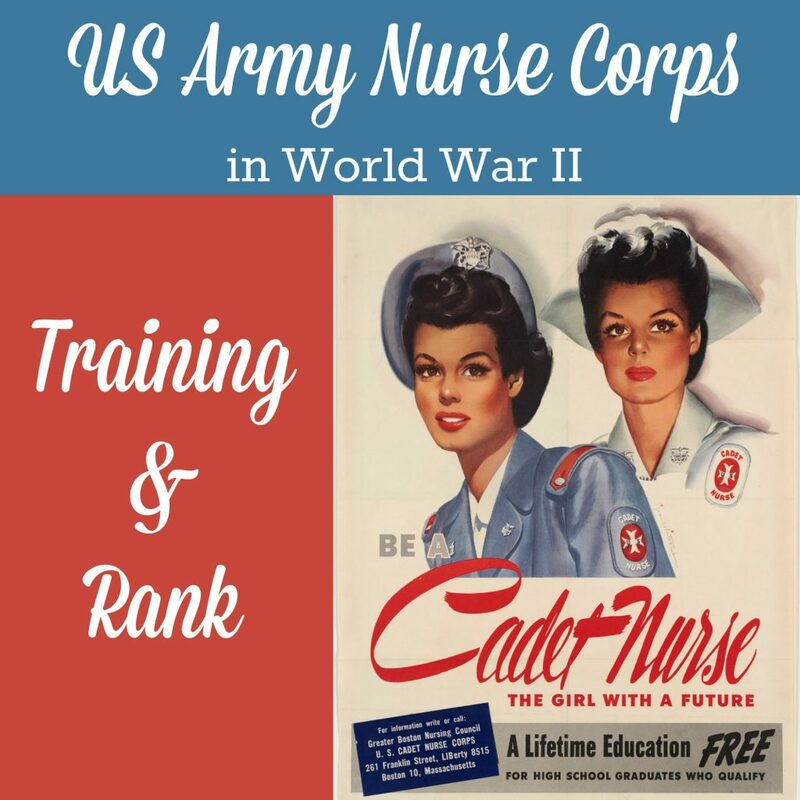 History of the U.S. Army Nurse Corps. Philadelphia: University of Pennsylvania Press, 1999. (A comprehensive history with a thick section on WWII). When I’d read last week’s blog post, I wondered how the women paid for their college nursing classes. What an invigorating three years it must have been for them!